It's never too early to scout draft prospects, the collegiate season is almost coming to an end and graduating players as well as those with one year of eligibility left (in the NCAA) are now on the radar, last year nobody saw Standhardinger coming over to SMB of all places, what surprises are in store for us in the next draft? will Ray Parks finally join the draft? who's the top prospects from the UAAP & NCAA? 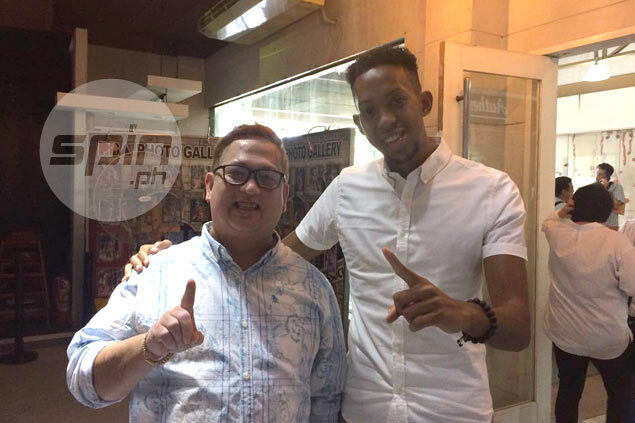 Yup, Holt's been in the radar for several years now, too bad he can't play for Gilas. Another player that merits a second look, granting he gets his papers fixed, is Jason Brickman. He's ranked #4 all-time in US NCAA Division I history for having the most number of assists in his collegiate career, ahead of NBA mainstays like Gary Payton, Greg Anthony and Steve Blake. For 2018 overall pick, the San Miguel Beermen selects... Stephen Holt. Saktong sakto siya pamalit kay Lassiter dahil 31 yo na siya next year. They need younger guys for their future and to compete as well. BRP's NBA dream is dead. Unless Gilas gets full time cadets (unlikely dahil wala masyadong prospects ngayon) , I think we'll see him go pro next year. yung Isaac Go ng ateneo, ilang taon na yun? ano height? keylan magpapadraft? pwede kaya yun pang 2nd round pick? or malambot din? 6'6 lang pala, kala ko nasa mga 6'9. pansin ko mas madalas ba sya gamitin ni coach tab keysa sa improt? nung against feu ko lang napansin laro nya, mas babad yata sya keysa sa import sa crucial, or foul trouble ang import? Owen Graham is you no.1 draft pick in the D-league. Alvin Pasaol was drafted in the 2nd round. Troy Rike siguro top 3 to top 5 picks ko.